With a VPN in Ukraine you are able to overcome online censorship and internet filters. With a VPN you can unblock popular Russian social networks and websites - Vkontakte, Odnoklassniki, Yandex. Besides, VPN hides your IP address and makes you invisible on the web. VPN hides your identity and keeps you anonymous in Ukraine. VPN encrypts and secures your internet traffic, your online activity is hidden from your Internet Service Provider and also from anyone else on the same Wi-Fi network as you. With anonymous VPN like Trust.Zone you are able to download files and media with no risk. 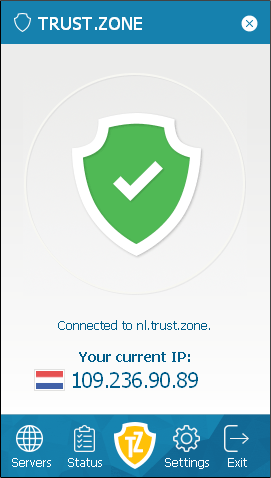 Trust.Zone VPN replaces your IP address with IP address of another country, thus allowing to bypass web filters. Access any website and service!